The St. Agnes cross country team did not just win the TAPPS 6A state championship. It was the type of performance that had not been seen in a generation.Not only was it the school’s first state cross country title in 23 years, the Tigers recorded the lowest score in TAPPS’ top classification since 1991. Led by senior individual champion Jackie Cruz, who finished the two-mile course in 12 minutes, 8.5 seconds, the Tigers placed all five scoring runners in the top 10 for a total of 20 points. St. Agnes pulled away from the competition, with annual title contender Dallas Ursuline Academy scoring 91 points as runner-up. Cruz, Camille Napier (4th, 12:29.2), Sara Price (5th, 12:36.2), Emily Heinz (6th, 12:37.3) and Amelie Born (8th, 12:48.5) scored for the Tigers, while Grace Wolfe (14th, 13:02.5) and Emory Reilly (24th, 13:27.5) finished in the top 20 percent of the 6A field. Cruz won the individual championship by 9.2 seconds. The Tigers’ time spread from first through fifth was a mere 40 seconds, second only to Concordia Lutheran’s 35.1. St. Agnes closed an exceptional season that included team championships at Oak Ridge, Cypress Christian and Faith West. The Tigers held their own against some of the UIL’s best as well, running five-kilometer courses in the fastest races at several top of the area’s top meets. They finished sixth overall at Friday Night Lights in The Woodlands and third at both the Brenham Hillacious Invitational and Nike South Invitational. Unfortunately for the rest of the state, the Tigers will only graduate Cruz and Wolfe from this year’s championship squad. The west Houston area fared well at the state meet, including a 6A runner-up finish by St. Thomas. The Eagles scored 96 points to challenge state champion Antonian College Prep’s 75. Junior Blazek Skucius led the Eagles in 10th place, earning all-state honors with a five-kilometer time of 17:32.1. The Village School junior Doris Mikulek finished 10th in the girls 6A race with a time of 12:49.1, making the all-state cut as well as Awty International sophomore Alexander Gadin, who finished eighth in the boys 6A race in 17:24.8. Fort Bend Christian ran strong in 5A, highlighted by a fourth-place finish in the boys standings. The Eagles produced two all-state runners, with freshman Dylan Weaver placing sixth in the boys race in 17:48.5 and junior Taylor Dailey running a 13:06.6 for seventh in the girls competition. 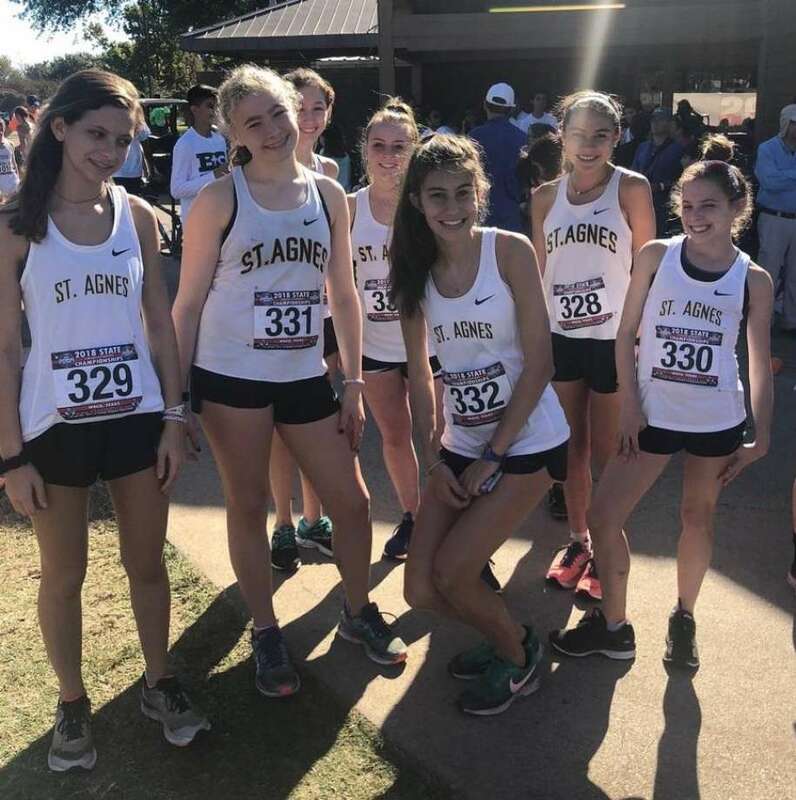 The 4A girls run was highlighted by all-state finishes from St. Thomas Episcopal junior Reese McDermott (3rd, 13:43.6) and Logos Prep senior Anna Arroyos (5th, 13:53.8). Logos Prep senior Nathan Allen (8th, 18:30.7) and STE junior Joel Hrncir (10th, 18:46.3) ran to all-state honors in the 4A boys division.